Joella Miller - Always Wired Bead Lady! Joella Miller is the talented jewelry artist and designer behind AlwaysWiredBeadLady located in Brodhead, WI. Joella is also my friend and a valued member of our online Artisan family called eSMArts. 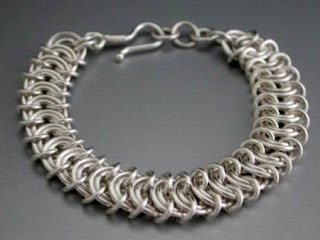 I met Joella a year ago and was immediately drawn in amazement toward her intricate chainmaille designs. Joella has mastered a vast array of artisan jewelry making techniques. 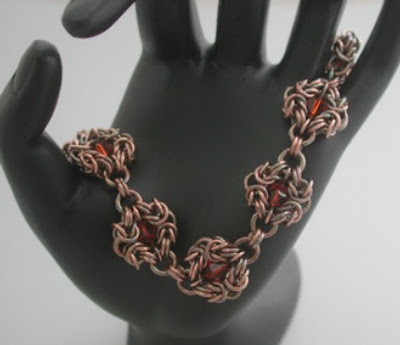 Her lovely wire wrapping and chainmaille creations are crisp, modern and truly timeless. This artist enjoys custom work so contact Joella directly to have your unique design statement project started today. Joella's handcrafted jewelry creations are pieces of lasting beauty that have received wide acclaim and recognition. Joella has recently been accepted to appear at WisCon 33's Art Show being held in Madison, WI May 23, 24 and 25. WisCon is a premier feminist SciFi convention that only accepts 40 artists in their popular Art Show! Joella will also be appearing this summer (every Saturday morning) at the Dane County Farmer's Market. This premier farmer's market has a special section for arts and will run all summer long. So be sure to make a point of dropping by Joella's Always Wired Bead Lady booth this season! 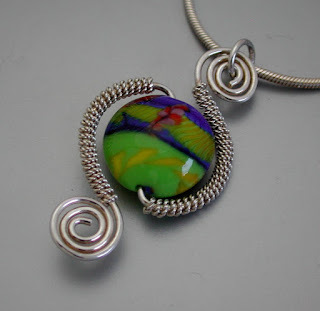 There is more background information on this artist and a sneak peek into what's new at her studio on her blog: http://alwayswiredbeadlady.com.